Who needs a sales stack when you already have dashboards? 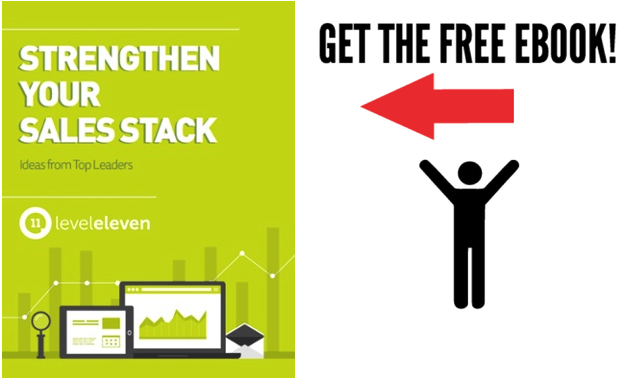 You need a sales stack. Every sales leader must have a sales stack. High-performing sales teams use nearly three times more sales tech than underperforming teams. And on average, high-growth sales development teams have 5 applications in their technology stack. CRM dashboards are old news. They show you what you’ve been doing. That’s great, but it doesn’t help the sales leader who wants to manage sales performance in real time. Since a dashboard is basically a report, you only see what’s been done and can’t do anything to change that. Modern technology tracks and monitors sales team activity in real time. This enables you to see if any metric is falling behind and act on it right away. Long gone are the days of wishing sales reps made more calls yesterday; you have the ability to affect that number right now — with the right sales tools, that is. A CRM dashboard is like the dashboard in your car: It tells you how the car is operating, how fast you’re going, how much fuel you have, etc. But it doesn’t tell you how to get to your destination, what time you should leave or which route you should take. Sales stacks should include tools that help the sales team move forward. CRM dashboards don’t tell employees where they should focus their attention or what activity they should increase to reach those revenue goals. But there are technologies that track activities and will let you and your sales reps know when they fall behind. A CRM dashboard is a manager tool, not a sales rep tool. It’s a monitoring device for you to get a snapshot into how team members are performing. But it doesn’t help the sales rep see how their daily activities are affecting overall performance. Since sales reps are the employees whose activities are actively moving the needle, it makes sense to provide them with tools to increase productivity and efficiency. Many sales reps will tell you they’re busy all the time, but that’s only happening because they don’t know where to focus their time. Adding technology to your sales stack can solve that problem. Don’t get us wrong here. We like dashboards. We use them. They just aren’t enough for the modern sales team. CRM dashboards aren’t in your face. They don’t follow you around as you go through your work day. Almost 60% of modern leading sales organizations are either already using or planning to use a mobile sales app — technology that travels with them. When a dashboard isn’t accompanied by other sales technologies, it has the chance to just be on a pretty face sitting on the wall in the back of the office. And there’s a chance you and your team will start to tune it out. The information you get from a CRM dashboard is delayed, which means that someone has to pull the data before a problem or issue is discovered. It’s not real time. It’s not live. It’s not going to update itself. It almost sounds archaic when you say it that way. Your sales stack should include intuitive software with automation and seamless integration. Let’s see why sales dashboards alone don’t count as a sales stack. Step up your game by using more tech like other high-performing sales teams!